Although the great progress has been made in diagnosis and therapeutic in lung cancer, it induces the most cancer death worldwide in both males and females. Chemokines, which have chemotactic abilities, contain up to 50 family members. By binding to G protein-coupled receptors (GPCR), holding seven-transmembrane domain, they function in immune cell trafficking and regulation of cell proliferation, differentiation, activation, and migration, homing under both physiologic and pathologic conditions. 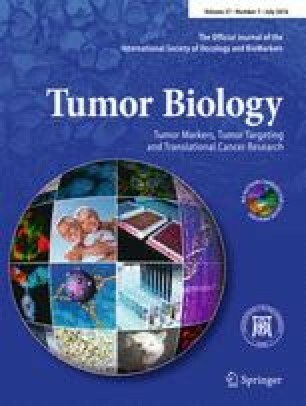 The alpha-chemokine receptor CXCR4 for the alpha-chemokine stromal cell-derived-factor-1 (SDF-1) is most widely expressed by tumors. In addition to human tissues of the bone marrow, liver, adrenal glands, and brain, the CXC chemokine SDF-1 or CXCL12 is also highly expressed in lung cancer tissues and is associated with lung metastasis. Lung cancer cells have the capabilities to utilize and manipulate the CXCL12/CXCR system to benefit growth and distant spread. CXCL12/CXCR4 axis is a major culprit for lung cancer and has a crucial role in lung cancer initiation and progression by activating cancer stem cell. This review provides an evaluation of CXCL12/CXCR4 as the potential therapeutic target for lung cancers; it also focuses on the synergistic effects of inhibition of CXCL12/CXCR4 axis and immunotherapy as well as chemotherapy. Together, CXCL12/CXCR4 axis can be a potential therapeutic target for lung cancers and has additive effects with immunotherapy.